In my testing, the iEMatch was a huge improvement in everyday use. I mostly use in-ears and most of my headphones are very efficient, too. Paired with the normal headphone output of the iPhone (R.I.P. ), improvements were very noticeable and highly appreciated. Almost even more so with desktop amps that feature an analog volume control, like the Objective O2. There are really no drawbacks unless your habit is to listen to music at very loud volumes and your headphones aren’t very sensitive. 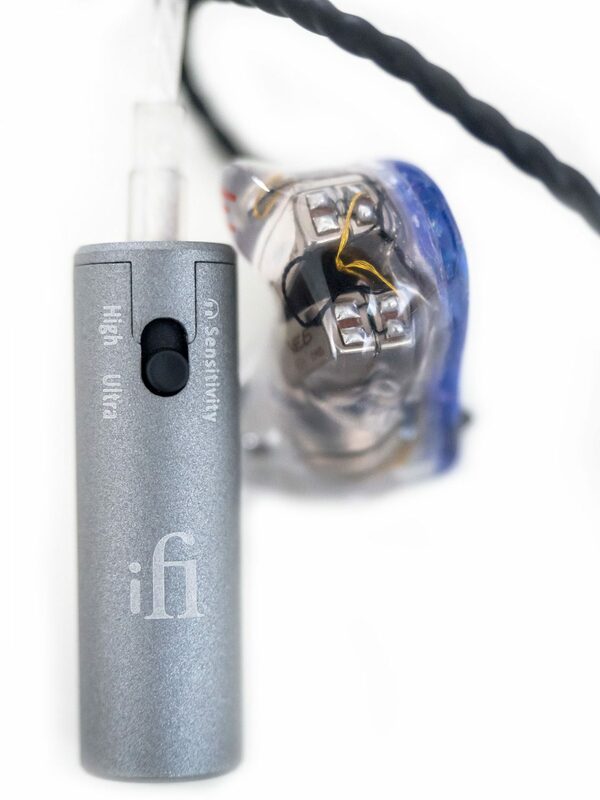 Very demanding users might be bummed that the little iFi won’t reach below 1 Ω OI, but then again this will probably be easy to accept for a clean and less hissy output. Andromeda users might want to try the ultra setting for arguably better tonality. In the end, the iEMatch is only a small gadget. A small accessory. A cheap one, considering the investments we usually bring up for this hobby. This is a dead easy recommendation and I am sure it will find a safe place in your IEM case!